In what could be a cause for worry for new CEO Hans Vestberg, Verizon suffered a double whammy Tuesday after two rating agencies downgraded the stock over concerns that the company is overvalued after the recent rally. The communication giant’s stock nosedived in early trading. Stripping Verizon of the Equal Weight tag and placing it on Overweight, Barclays said the stock’s valuation would “cap upside potential from present levels,” though its near-mid-term prospects look encouraging. The action reflects the bleak outlook for the telecom sector, which according to the research firm is shrinking. The downgrade has brought Verizon’s stock broadly at par with its competitors. According to the agency, it is the differences that unite the US telecom industry than the similarities. It also feels that Verizon and its peers in the sector – AT&T (T), T-Mobile (TMUS) and Sprint (S) – have divergent approaches to the market they cater. While terming the stock ‘overpriced,’ the analyst exuded optimism about the company’s growth prospects, mainly considering the superior quality of its network. Barclays also slashed its price target on the company from $56 per share to $50 per share. 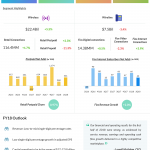 Elsewhere, an analyst at research firm MoffettNathanson echoed the sentiments of those at Barclays and lowered Verizon’s rating from Buy to Neutral Tuesday. MoffettNathanson is of the view that the stock is not performing as it should have been, at a time when the telecommunication sector is witnessing rapid improvement regarding technology and pricing. In recent months, Verizon made significant progress in taking forward its 5G network program, outpacing most rivals. The company is currently exploring partnerships with YouTube and Apple (AAPL) to bring streaming content to customers through the 5G network being set up across the country. 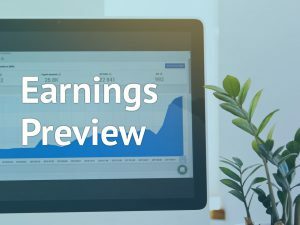 For the second quarter, it reported better-than-expected earnings, helped by yet another strong growth in the wireless segment. Over the past several months, Verizon stock has outperformed the industry and hit a two-year high in August. The stock, which witnessed a steady uptrend since last year, dropped about 2% in premarket trading Tuesday following the rating downgrades and continued the downtrend in early trading.